Hi folks. When I'm not making sketch videos for clients, I teach individuals how to design, sketch and inspire innovation in their workplace. Last week I was fortunate enough to run one of my workshops in Manila. Here's a shot of me in action. It was my second visit to the Philippines, and I must be developing a bit of a name as this time all 250 tickets sold out! Here's what the local tech news had to say about the event. If you're interested in attending a workshop in sketching, design or innovation (we have some coming up in Melbourne) check out the upcoming workshop dates. This video for Inner Western Sydney Medicare Local has been so popular, it's been repurposed by other regions, translated into different languages, and broadcast on Tonic TV, a TV station played in general practice clinics throughout Australia. Could your business or product benefit from a similar video? We'd love to help. Get in touch! If you're one of those people who thinks "I can't draw," this will blow your mind. 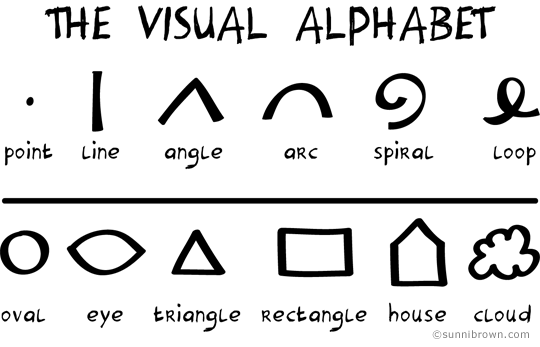 The twelve shapes above are called the visual alphabet, and by combining these shapes you can draw just about anything. Note we're talking iconic, simple images here, not elaborate illustrations. It's all about communicating an idea! Read more in Sunni Brown's article, The Miseducation of the Doodle. 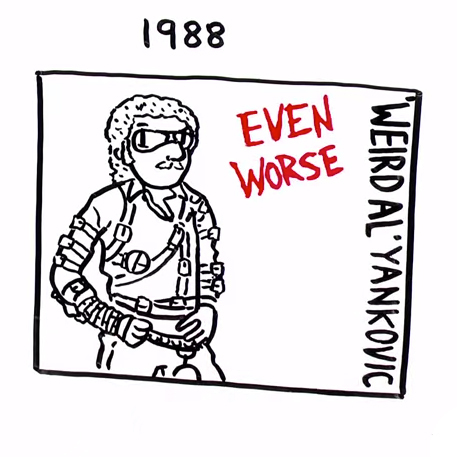 The TruScribe guys are at it again, this time turning Weird Al's discography into a riveting whiteboard animation. 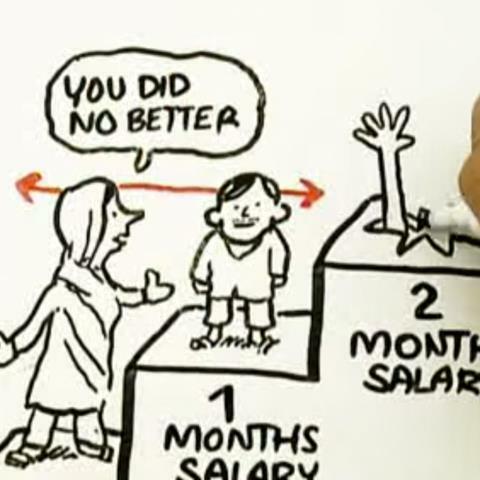 One of the original whiteboard animations that ignited the category. This RSA Animate video was a massive inspiration for me to explore this format of storytelling. Nearly 14 million views and counting! 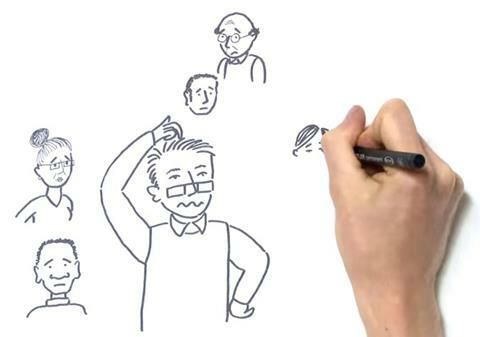 The Story of Stuff project use whiteboard animations to tell stories about important topics. 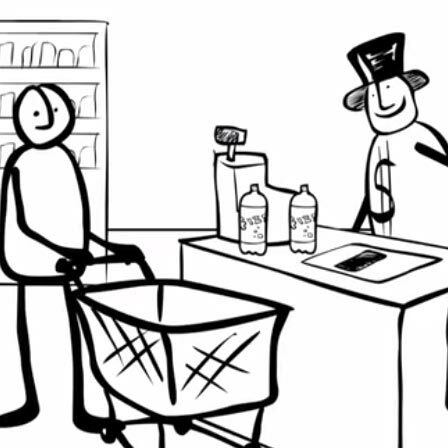 You'll never look at bottled water the same way again! That's all for this issue. Until next time, I challenge you to be brave with your pen. Go draw some conclusions!